The Magic of On-the-Spot Recognition | gThankYou! On-the-spot recognition gets instant results! On-the-spot recognition gets instant results. When you recognize employees right away, the benefits start right away! The once-a-year recognition party is good for show, but ultimately it doesn’t affect day-to-day performance and is a weak employee motivator in the long run. 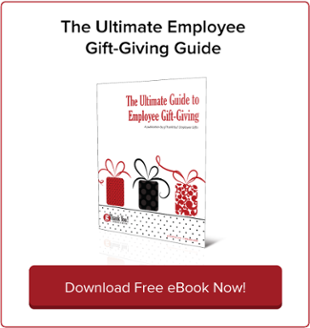 “Recognizing [an employee] with a thank you, a gift card of his choosing or even a personal day off can take you very far. Such on-the-spot recognition, done year-round, inspires ongoing motivation and high performance,” Mosley writes. It’s time to make recognition an ongoing, everyday activity. Read on to find out why on-the-spot recognition is so effective — and much easier to carry out than you think! On-the-spot recognition can feel awkward at first. That’s because traditional attitudes toward workplace recognition have conditioned us to wait to say thank you — or not say thank you at all! Everywhere else, we naturally thank each other immediately and don’t think twice about it. When employees hear appreciation on a regular basis, immediately after they do a job well, they understand what they’re doing right and are invigorated to keep it up. 2. It’s what young workers expect. Millennials get a lot of flak for being “entitled,” but Forbes contributor Chris Ostroich challenges this assumption. “It’s true that growing up, Millennials were often told they were the best and brightest — but this didn’t teach them to assume they deserved everything. It simply gave them a desire for frequent feedback to help them stay on track,” he writes. Saying “thank you” is FREE, no catch! A little goes a long way when you share on-the-spot recognition with small gifts of appreciation such as gift certificates, flowers or a lunch out. Timely, meaningful tokens of appreciation are a far better use of your organization’s employee-recognition funds than a big year-end bonus that’s forgotten within weeks. 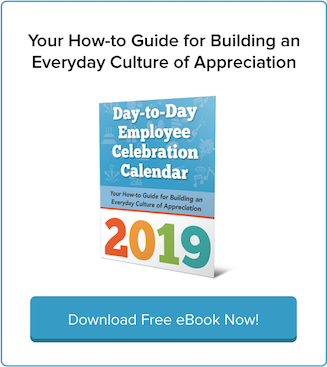 Employee recognition is finally getting the recognition it deserves for improving workplace culture, employee happiness and the bottom line. But just because recognition is finally being taken seriously in the workplace doesn’t mean it needs to be complicated to undertake. Far from it! On-the-spot recognition harnesses a natural impulse that is often repressed in the workplace: Gratitude. When managers and other workplace leaders share their gratitude, the good feelings of appreciation grow and spread among employees. It really is that simple! 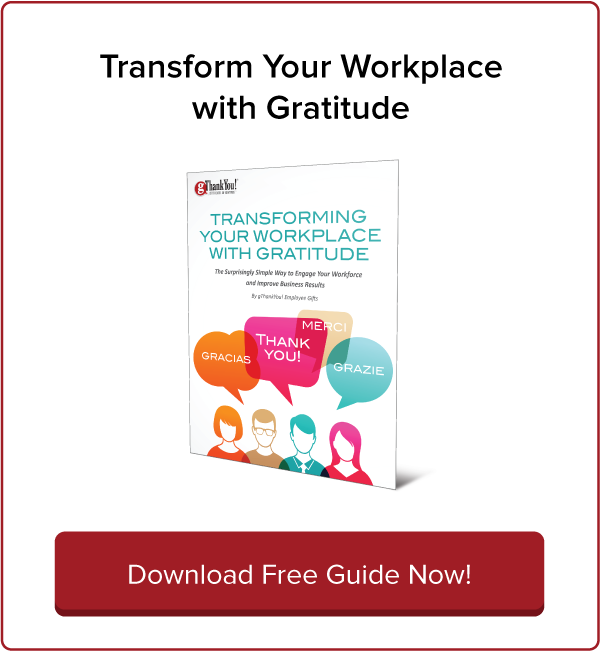 For more great tips and insights into building a vibrant culture of workplace gratitude, engagement and appreciation, be sure to download our free downloadable Gratitude Guide today! Happy National Custodial Workers Recognition Day! 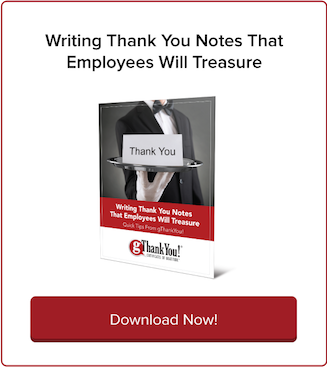 Employee Recognition: Surprise Your Staff!